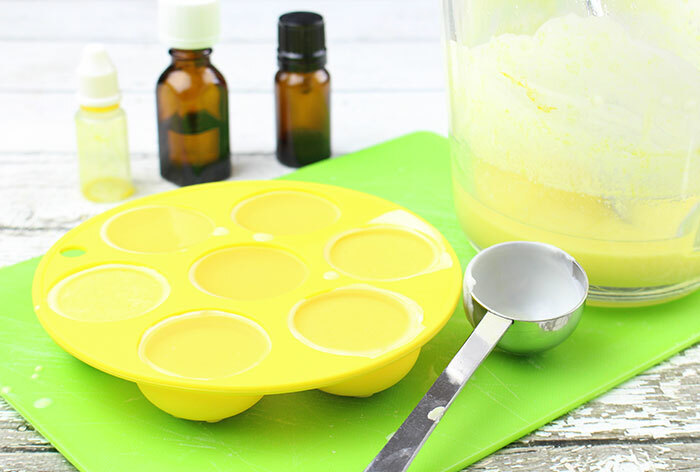 These homemade lotion bars made with kid safe essential oils are a must have for summer! Summer is almost here which means we will soon be spending most of our days at the pool. My boys can't wait to dive in and I have a feeling they will spend more time in the water than ever this year. All that sun and fun is awesome but the pool water can be tough on their skin. 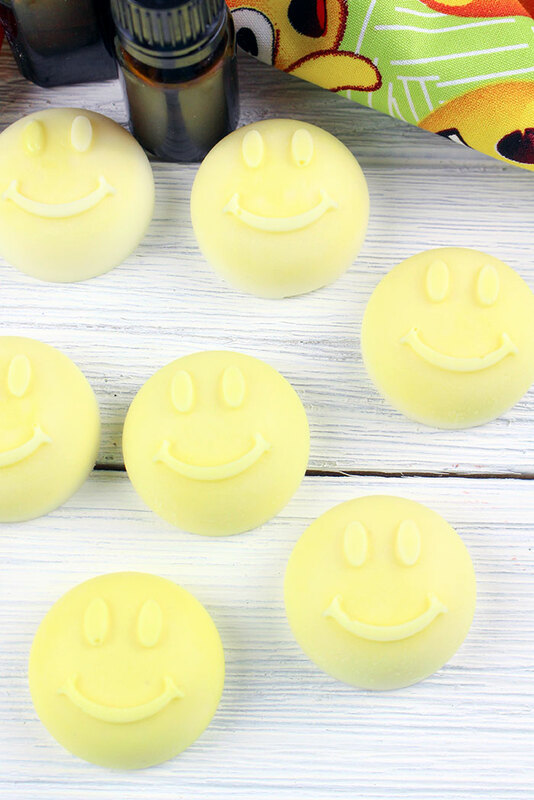 That's why I need a simple solution to help keep their skin from drying out with all the chlorine and sun, and I've found the perfect thing with these super cute homemade lotion bars. They're easy to make, safe for kids, and fun to use too! I can't believe I waited so long to try lotion bars with my boys. 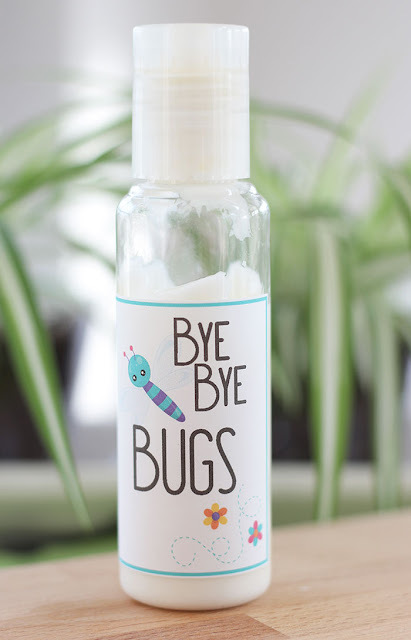 They are so much better than trying to use traditional lotion in a bottle! My twins are 5, and they want to do everything themselves. Of course when it's time for lotion that usually means a huge mess. Not with these lotion bars! They are super simple to use - they can just rub them on themselves without all the mess. 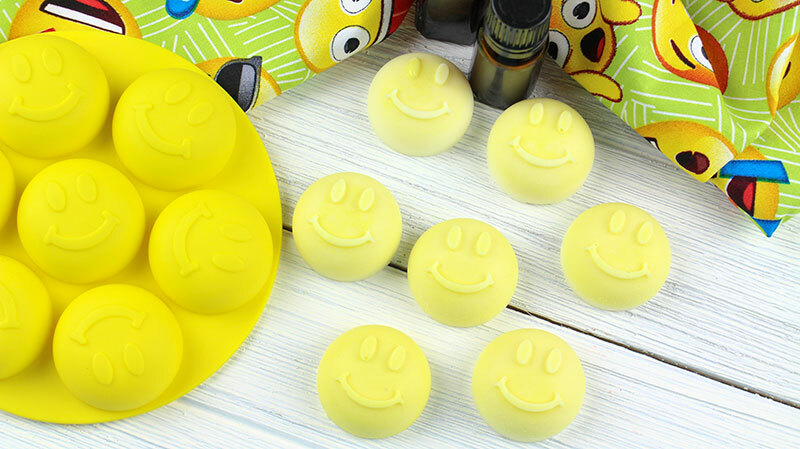 And with these cute smiley faces they are more than happy to use them! 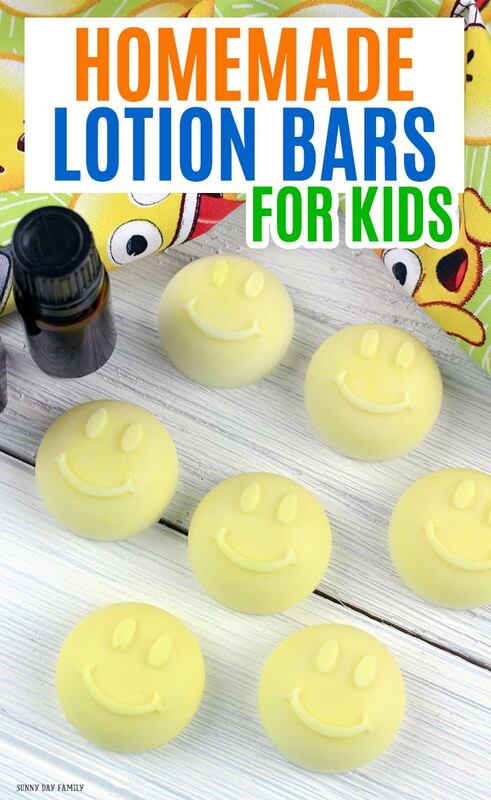 Choosing the right essential oil is key to making these lotion bars kid friendly and effective. I recommend Calming the Child by Plant Therapy. This blend is kid safe (for kids over 2) and is awesome to help kids wind down. It's the perfect choice for using after an evening bath or a day out in the sun. You can also try the Skin Soother blend or a mix of 8-10 drops Steam Distilled Lemon and 8-10 drops Lavender. 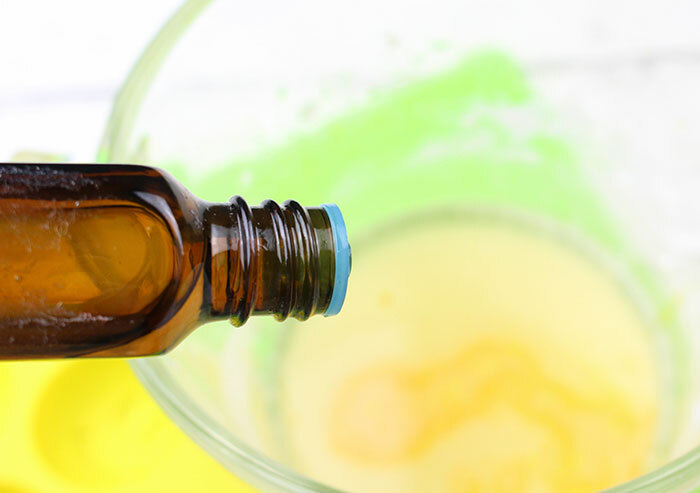 One important note if you choose to use Lemon essential oil in this recipe: be sure to use Steam Distilled Lemon and NOT cold pressed Lemon. Cold pressed Lemon is phototoxic, meaning it will make your skin extremely sensitive to sunlight. I would not recommend using it in a body lotion. 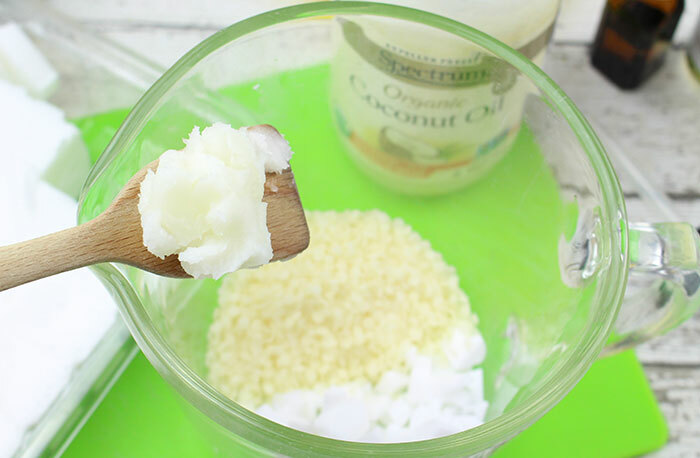 Add the coconut oil, shea butter and beeswax pellets to a microwave safe bowl or large Pyrex measuring cup. Microwave on HIGH for 45 seconds or until completely melted. Stir well. Add the Vitamin E oil, soap colorant and essential oils. Stir to incorporate. Pour the melted lotion into the silicone mold, filling up to the top of each mold. Chill for 4 hours to allow to completely harden. 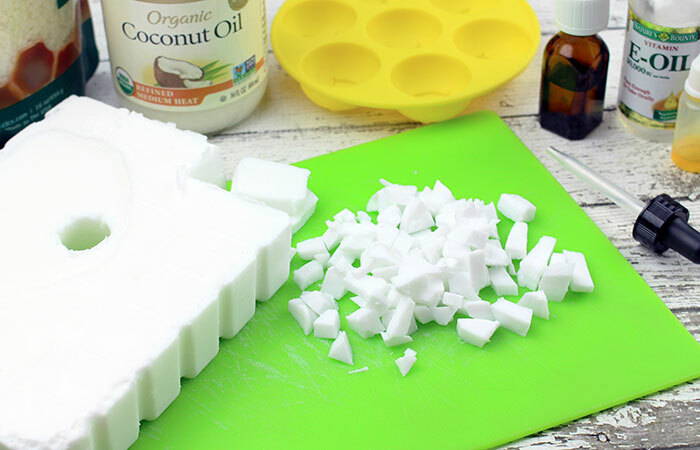 Carefully pop each lotion bar out of its mold and store in an airtight container for up to 12 months. Then use them anytime the kids (or you) need them. They make an awesome gift too! 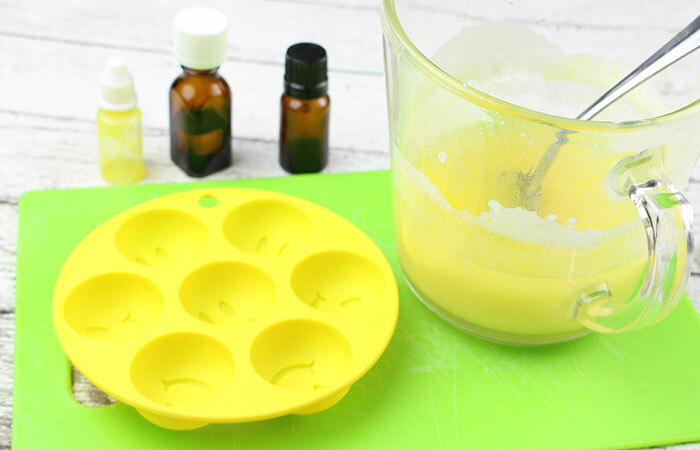 Then you must try some of our other DIY recipes with essential oils! 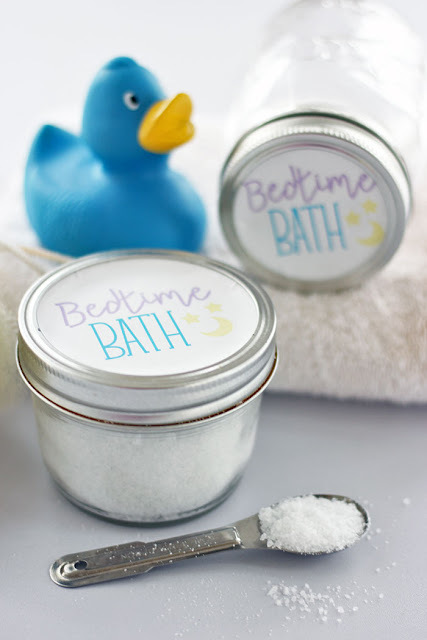 Your kids will love our Bedtime Bath Salts and our Homemade Bug Lotion is a summer must have. Any idea if you could make this into a lotion bar that would include some form of SPF? I haven't tried adding in SPF because I don't know how the other ingredients may affect the sun protection - I personally don't mess around with sunscreen because we are a family who burns pretty easily! I do know you can buy sunscreen lotion bars and then use these after you're out of the sun for moisturizing. Hope that helps!